December may just be the busiest month of the year! 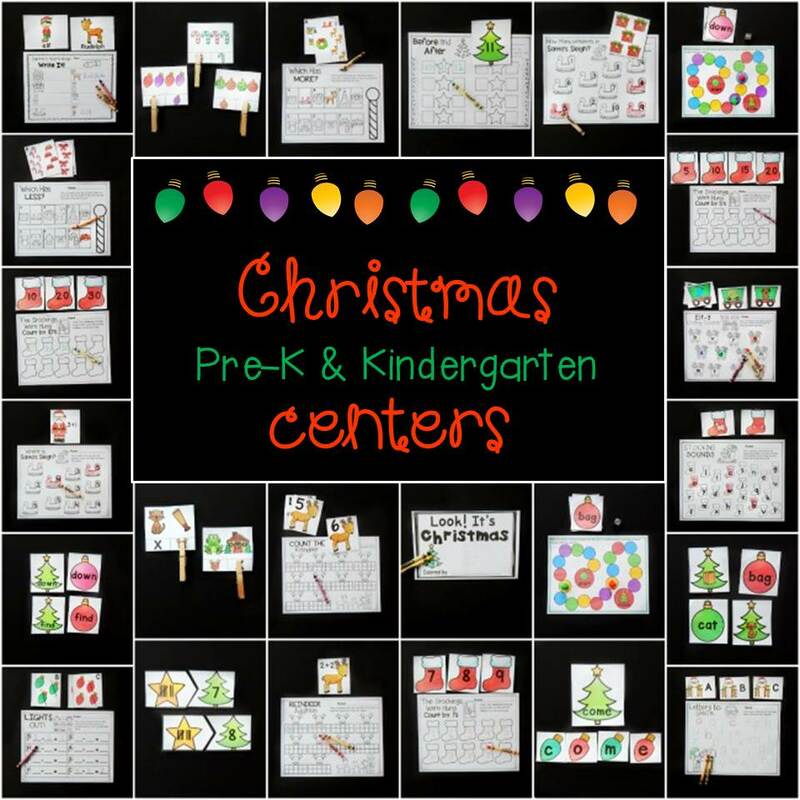 Between holiday events with my kids at home, and preparing for all of our Christmas fun in preschool, there is not much down time until winter break begins. 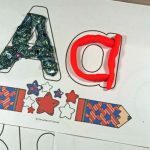 To make sure that all of our learning fun in my classroom stays stress free, I keep things simple, change activities often, and use engaging printable activities like our Christmas Alphabet Play Dough Mats. 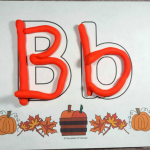 Practicing letter formation when building uppercase and lowercase letters with play dough also increases recognition and strengthens fine motor skills! 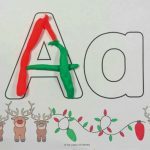 This printable alphabet play dough activity includes a Christmas tree mat and 26 ornaments with different letters of the alphabet on them. Simply print the file from the link below and cut out the ornaments on the gray dotted lines. Laminating the Christmas tree play dough mat is recommended because the play dough will damage the paper over time. Plastic page protectors will also work to cover the play dough mat if laminating isn’t an option for you! To play, you’ll need play dough and possibly a basket or tray to keep the ornament cards organized. 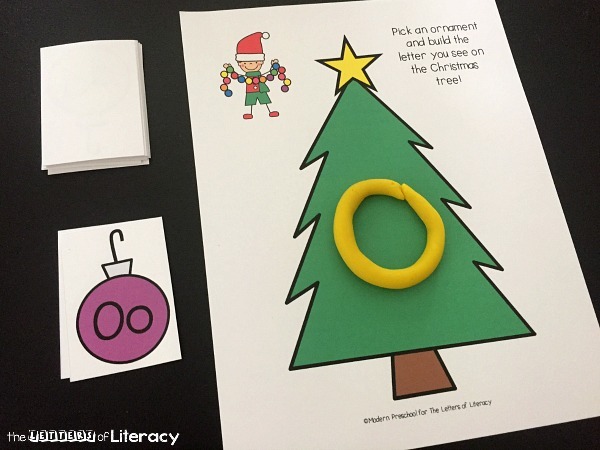 We kept the ornament cards in a pile, but in a classroom setting a basket may work better! 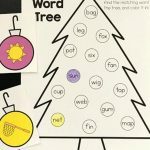 When an ornament card is picked or flipped over, have your child say the name of the letter. 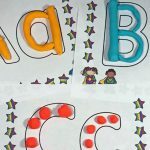 For more advanced learners, encourage them to also say the letter sound and give an example of a word that starts with that letter. 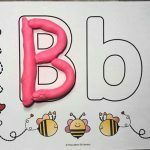 In my preschool classroom when we are working with play dough (like you would be making a snake), I show my preschoolers how to pinch a piece of play dough and then roll it on the table. 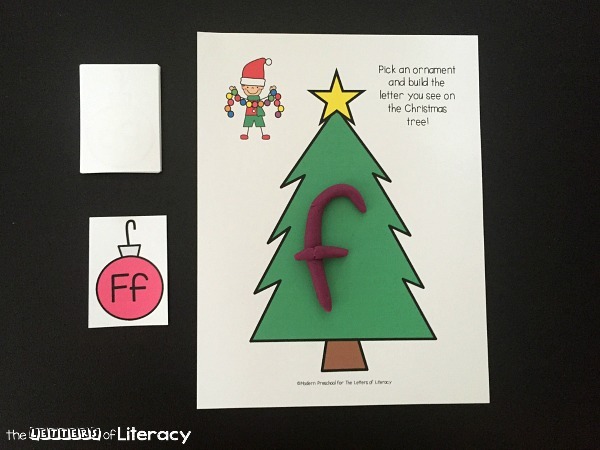 After the play dough is rolled out, it’s time to form the letter on the ornament card. There are both the uppercase and lowercase letters printed on the ornaments. 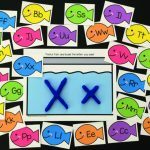 This gives different leveled learners the opportunity to play at their skill level. 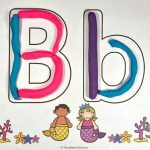 If your child has mastered recognizing and forming uppercase letters, let your child build all of the lowercase letters. And if your child is still working on just uppercase letters, work on those first. 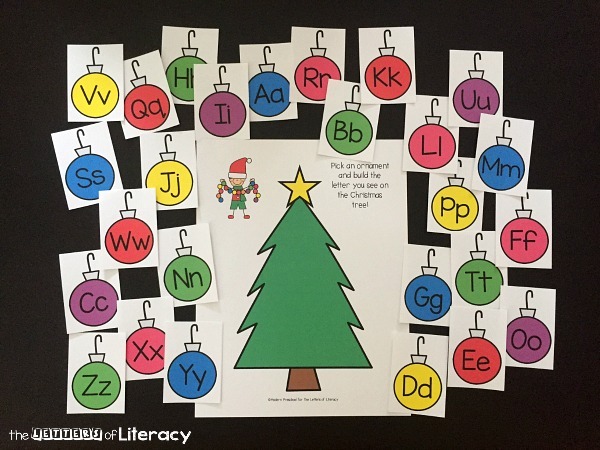 Work through all 26 ornaments until all of the letters have been created using play dough! 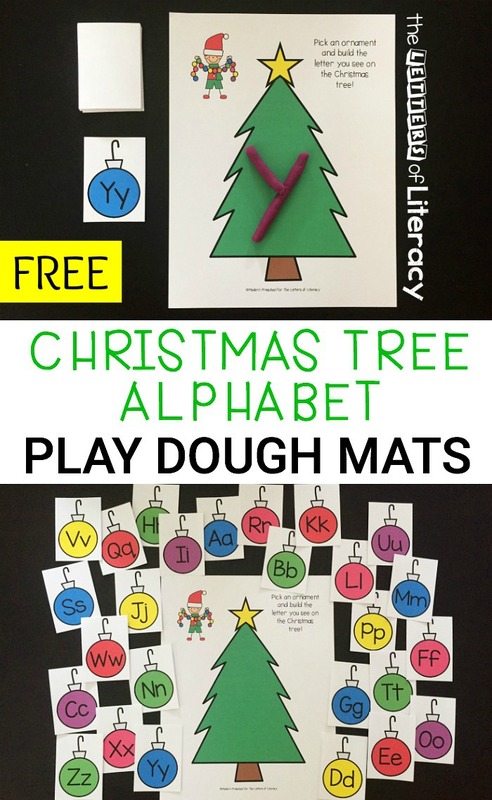 Ready to download your own copy of Christmas Alphabet Play Dough Mats? Download them by clicking the blue button below! 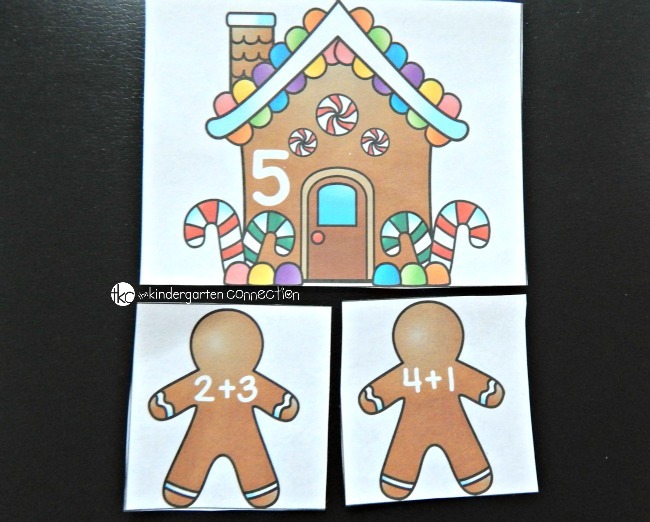 Then, for tons of Christmas centers, hop over and grab our Christmas math and literacy pack! Thank you for the Christmas mat and ornaments. 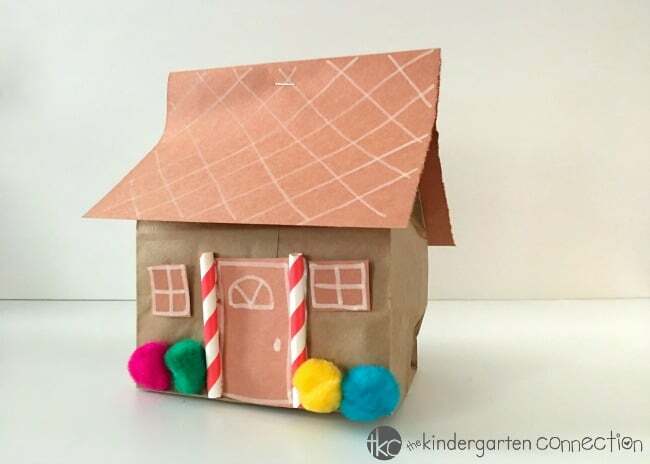 I also pinned the paper bag gingerbread house. 😉 I’m always needing craft ideas.